It is officially summertime here in the UK, and that can only mean one thing – it’s time to dust off the BBQ and get it ready for the season ahead! BBQ’s are the perfect excuse to eat food, get merry and enjoy some quality time with your friends and family – and you get to show off your decking system, too! We love a good BBQ, but it’s important to have all your bases covered before you start – just in case. Is your garden looking presentable? Overgrown lawn, weeds and untended borders with dried up plants isn’t easy on the eye or relaxing, which does not make for a pleasant and enjoyable atmosphere. Spend a few hours tidying up, mowing the lawn and reviving your flowers to give your garden aesthetic a new lease of life! Dirty and grimy patio slabs can look tired and dated, especially when the sun is shining brightly. Everyday rain can often bring down particles of dirt and mud which can settle and dry on your patio, so you’re going to have to put in some elbow grease to clean it – a broom and some water should be fine, but you can always hire a pressure washer for convenience. If your decking system is looking a little worse for wear and has seen better days, then there are a number of options for you. You can try and fix up what you’ve got, and give it a lick of new wood stain or paint, or you can go all out and give your garden a brand new look. With traditional, modern and contemporary designs available, you can give your outdoor space an instant pick me up that will last. Are you prepared for all weather eventualities? No matter what the forecast says, it pays to be prepared for all kinds of weather. Have sun cream and garden umbrellas on hand for those days when the sun is beating down with very little breeze to take the edge off. Pergolas are great for having an area of your garden that is shaded for protection. The chance of rain at any planned outdoor event in the UK is relatively high – especially this year, so it makes sense to have a covered area or even a gazebo, so your guests won’t need to hurry indoors. Similarly, the wind can be frustrating if you’ve got a tablecloth and disposable plates for your guests; opt for something with more weight if the wind is in the forecast. Is your BBQ good to go? Before the big day, ensure your BBQ is in full, clean, working order because there is nothing worse than the smell of burning to ruin an appetite. Stock up on BBQ essentials such as coal, firelighters and matches, and the food, of course! If you are planning on BBQing on the decking, it is worth using a mat to protect the wood from stains and to minimise the risk of accidents. 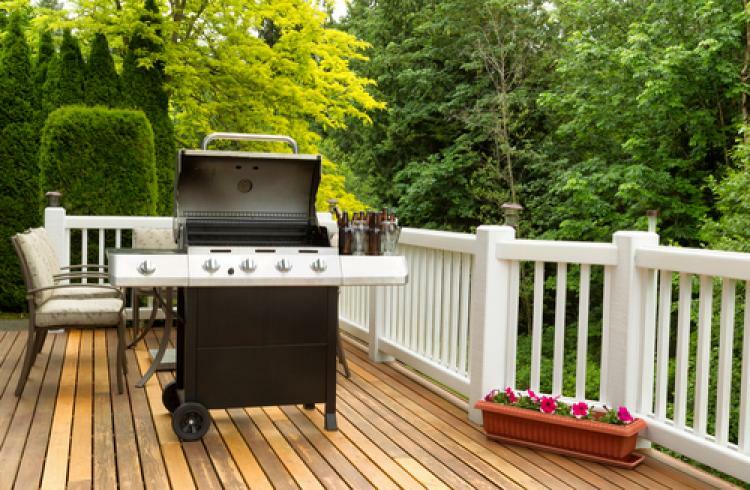 A BBQ is just for summer, but your decking is a long term investment, so protect it. For more information about our range of decking systems, please browse our website, or contact us on 01691 671020.